Is the path to Prince, fun, varied, with different and interesting views. 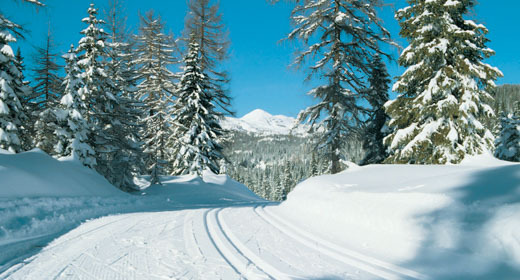 The start is just a few metres from the chalet at Campomulo base. A large and colorful finish the clearly indicates. First you walk slightly uphill a few bends and reaches the large trough that is the saddle of Campomuletto at an altitude of 1600 m.
It continues with a flat path until you see on the left, near Malga Fiara, the track from Pra Campofilone. You continue to the right, while downstream begins to appear the very wide Marcesina basin. It surpasses Malga Mandriele (1550) and leaving on the right the track that climbs from Marcesina. It takes a downhill hairpin to continue with a picturesque path until the head of Val Scura. You leave on the right fork for Malga Fossetta. The track is now steeper and with some hairpin rises to harness (1641). Take the track downhill to the left leads to Buso of the devil. Turn almost immediately right, downhill, with some curve and two turns, then slightly uphill. We arrive at the fork that going right takes you directly to Porta Molina. Holding the left and after about 300 m, at the junction, it turns sharply to the right, uphill; two more turns and points directly to the North and the refuge of support Adriana di Malga Moline (1740). A km. 11 to go: 1.40 hours. From the refuge, descends on the left for the first two turnoffs. With a succession of flat sections and short rides you bring Pra Campofilone, it continues East and rises with numerous curves to Harness (1651). You go back down, first quickly, then bumps to Malga Fiara (1600). At the junction turn right; After a long uphill slope, uphill, you get to Campomuletto and then slightly downhill to the chalet at Campomulo base.